Sometimes, the best ideas come from raw imagination. The Knuckle Visualizer is the work of a Korean animation house. It doesn’t actually produce sound. The only functioning part of the hardware you see here is a USB cable that powers an LED lamp. But there are fascinating ideas here. And, actually, you could build this. We can often get stuck in our repetitive music world and forget what’s possible. So let’s watch the animators run wild with our sounds. 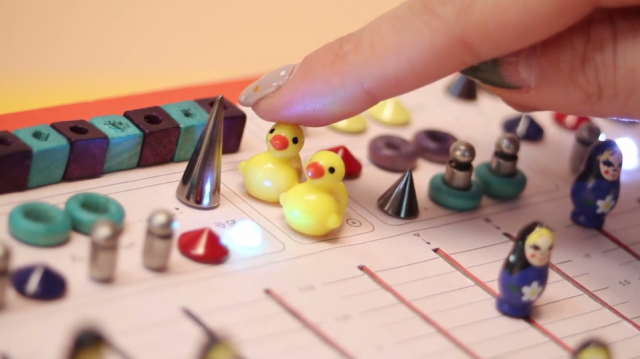 Rubber ducks and toy nesting dolls and and jelly beans make up the controls. 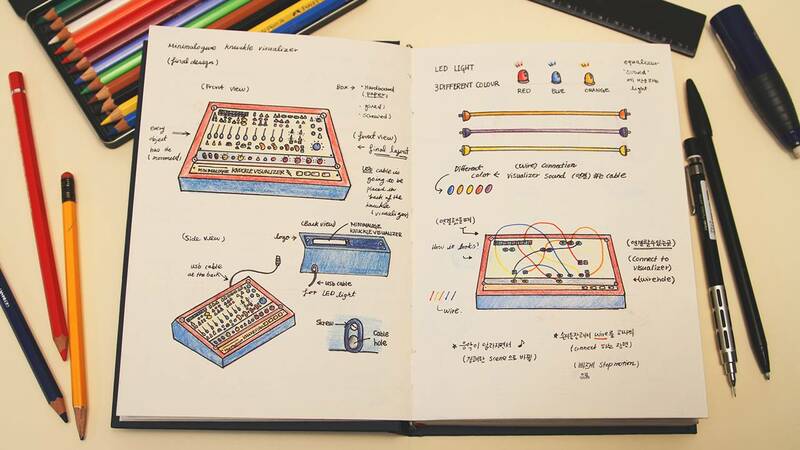 Buchla-styled colored patch cords are actually organized according to sound. And not only is this made-up synthesizer/sequencer itself animated, but whimsical dances of shapes and geometry add still more visual accompaniment to the sound. Knuckle Visualizer from minimalogue on Vimeo. We used a different approach on audio visualizing based on a completely different medium and art work. The idea was initially inspired from the Analogue Synthesizers design. retro sound from Analogue Synthesizer into the artwork using different styles of artwork and design. We collaborated unilaterally with a music company called ‘musicaroma’. This music company focuses on promoting internationally unknown foreign musicians and enabling them to get a copyright in Korea. Making of Knuckle Visualizer from minimalogue on Vimeo. Thanks, Zuzana Friday, for this one!